This 14k white gold pendant is set with a natural color spinel gemstone weighing 1.10 carats. This genuine spinel gemstone is very well faceted in an round cut with good brilliance. This wonderful gem faces up eye clean with faint natural inclusions visible only under very close inspection with bright illumination (GIA: Type II Gem, Clarity Grade VS). 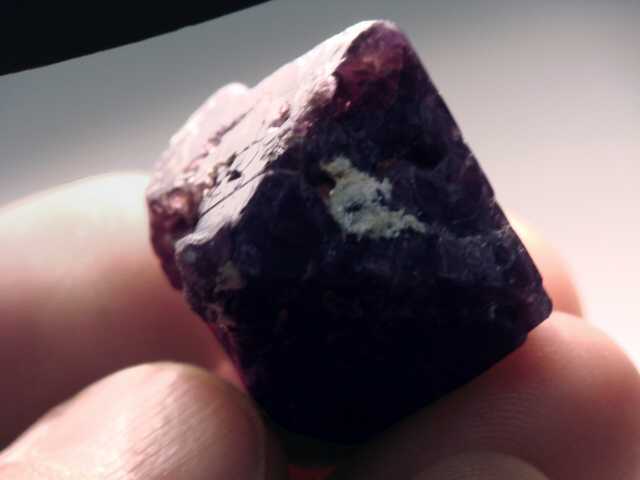 This natural color spinel has fine dark purple natural color - it has not been heated or treated in any way. See also a side view of this natural purple spinel pendant. This 14k yellow gold pendant is set with a 5.6mm round natural color spinel gemstone. This genuine spinel gemstone is very well faceted in a round brilliant cut with excellent brilliance. It is completely clean even under magnification (GIA: Type II Gem, Clarity Grade: Flawless). This natural color spinel has darkish blue or indigo color (100% natural color - it has not been heated or treated in any way). It shows a slight color change from slightly purplish blue hues under incandescent light to greenish blue hues under sunlight. This 14k yellow gold pendant is set with a natural color spinel gemstone weighing 1.24 carats. This eye clean spinel gemstone is very well faceted in a round cut with excellent brilliance (GIA: Type II Gem, Clarity Grade VVS). 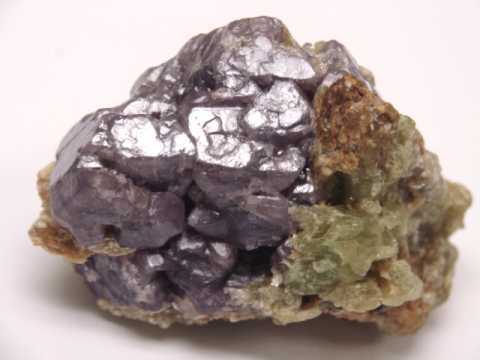 This natural color spinel has beautiful light purple or lavender natural color - it has not been heated or treated in any way. This 14k yellow gold pendant is set with a 5.9mm round natural color spinel gemstone. This genuine spinel gemstone is very well faceted in a round brilliant cut with excellent brilliance. It faces up completely clean (GIA: Type II Gem, Clarity Grade VVS). This natural color spinel gem has very beautiful reddish orange natural color - it has not been heated or treated in any way. This genuine indigo spinel pendant is set in 14k yellow gold. 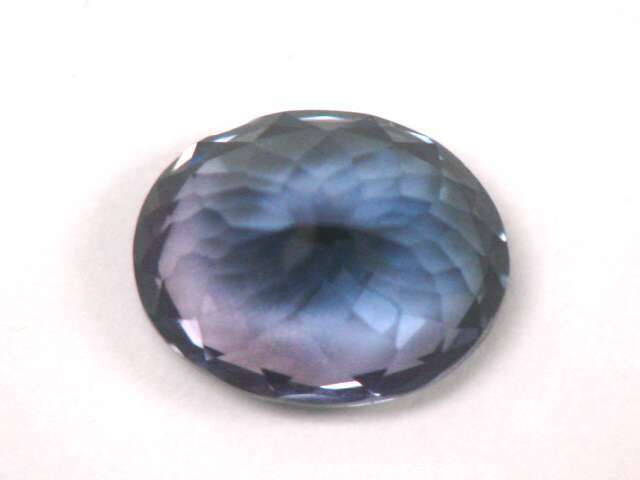 The natural spinel gem has dark blue natural indigo color - it is unheated and untreated. This genuine spinel gemstone is well cut with very good brilliance. 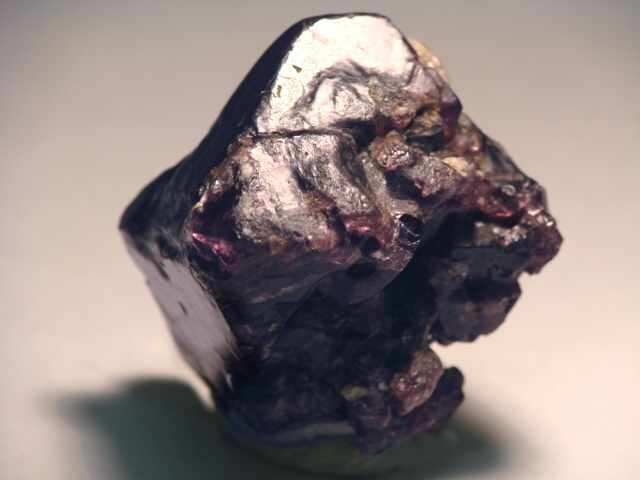 It was faceted from a natural spinel crystal that was mined in Sri Lanka. This fine quality spinel gem faces up completely clean even under close inspection (GIA: Type II Gem, Clarity Grade: VVS). See also a side view of this genuine indigo spinel pendant. This 14k yellow gold pendant is set with a natural pink color spinel gemstone weighing 1.09 carats. This genuine spinel gemstone was very well faceted in a round brilliant cut with excellent brilliance. It faces up eye clean with faint natural inclusions visible under very close inspection (GIA: Type II Gem, Clarity Grade VVS). This natural color spinel has beautiful lavender pink color (100% natural color - it has not been heated or treated in any way). This 14k yellow gold pendant is set with a natural color spinel gemstone weighing 1.41 carats. This genuine spinel gemstone is very well faceted in a round brilliant cut with excellent brilliance. It is eye clean with faint natural inclusions visible only under close inspection with bright illumination (GIA: Type II Gem, Clarity Grade VVS). This natural color spinel has beautiful light purple or lavender color (100% natural color - it has not been heated or treated in any way). See also another view of this natural spinel jewelry design. This is a solid 14k white gold ring set with a fine quality natural reddish-pink spinel gemstone weighing 1.18 carats, and with eighteen small natural white diamonds weighing 0.20 carats total weight. There are six channel set diamonds along each shank of the ring, and three more diamonds set on each side under the spinel gem. This solid gold ring also has 5.30 grams of 14k gold! The genuine spinel gemstone in this ring was very well cut with very good brilliance from a natural reddish pink spinel crystal that was mined in Burma. 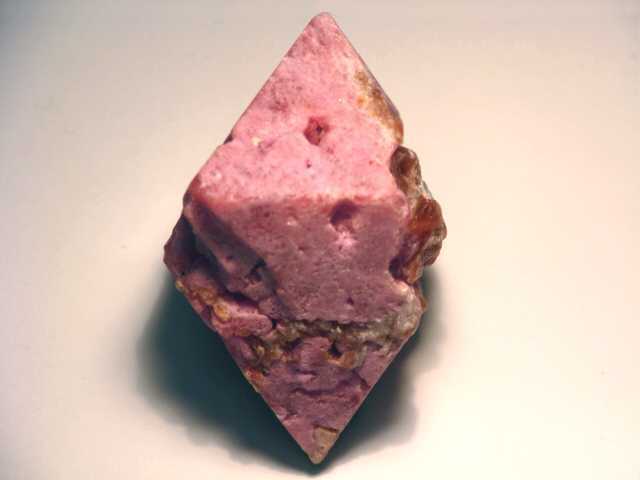 See a top-view photo of this natural pink spinel jewelry design. 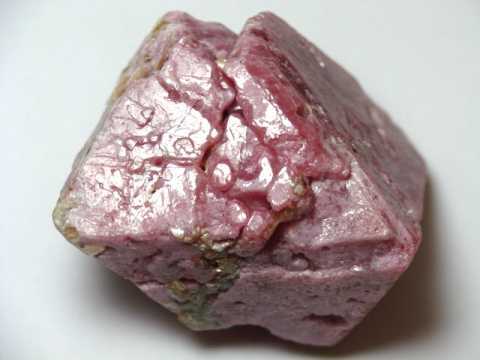 This fine quality natural color reddish pink spinel gemstone has not been heated or treated in any way, and it is completely clean even under very close inspection. See also a side-view photo of this natural pink spinel ring. This beautiful 14k white gold ring was set with a fine quality natural purple spinel gem weighing 1.20 carats, and with four natural white diamonds weighing 0.22 carats total weight. This solid gold ring has 2.90 grams of 14k gold. The genuine spinel gemstone in this ring was exceptionally well cut with very good brilliance from a natural purple spinel crystal that was mined in Burma. It is unheated and untreated. See also another view of this natural color purple spinel jewelry design. This fine quality natural spinel gemstone has not been heated or treated in any way, and it is completely clean even under very close inspection. Fine Purple-Pink Spinel Ring with Diamonds! This wonderful 14k white gold ring was set with a fine quality natural pink spinel gemstone weighing 3.19 carats, and with twelve small natural white diamonds weighing 0.33 carats total weight. This solid gold ring has 5.13 grams of 14k gold! The diamonds are channel set along each shank of the ring as shown in the top view photo at left. The genuine spinel gemstone in this ring has fine purple-pink natural color. It is exceptionally well cut with superb brilliance! This fine quality natural pink spinel gemstone has not been heated or treated in any way, and it is totally clean even under very close inspection. 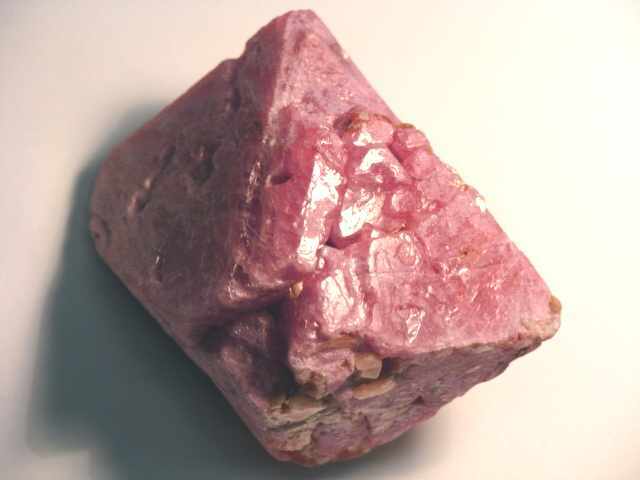 See also another view of this natural pink spinel jewelry design. This wonderful 14k white gold ring is set with a fine quality natural blue spinel gemstone weighing 3.24 carats, and with two small natural medium deep blue aquamarines weighing 0.22 carat total weight. This solid gold ring has 5.1 grams of 14k gold! The aquas are prong set along one edge of the trillian cut spinel at the widest portion of the tapering shank of the ring as shown in the top view photo at left. The genuine spinel gemstone in this ring has fine deep blue natural color. It is well cut with reflections from deep within. This fine quality natural blue spinel gemstone has not been heated or treated in any way, and it is totally clean even under very close inspection. See another view of this natural blue spinel ring custom design. See also a side view of this natural blue spinel jewelry design. This genuine blue spinel ring is set in 14k white gold with a natural dark blue spinel gemstone weighing 3.70 carats. This solid 14k gold ring has 5.80 grams of 14k gold. It is rhodium plated for added beauty, durability and luster. See another view of this genuine blue spinel jewelry design. 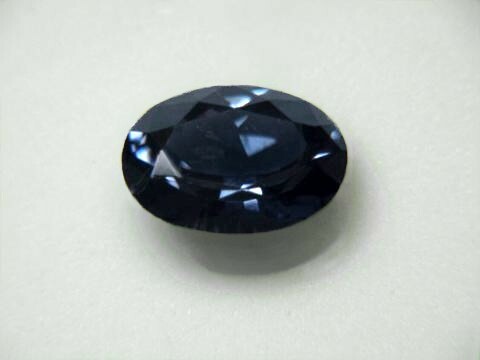 The natural color dark blue spinel gem is completely eye clean even under close inspection (GIA: Type II Gem, Clarity Grade VVS). The gem in this blue spinel ring is actually a color change spinel with beautiful dark blue color under daylight as shown at left, and it changes color slightly to dark violet-blue hues under incandescent light. Natural spinel gems with dark violet-blue color are sometimes called indigo spinels. See also a side-view photo of this natural indigo spinel ring. This genuine red spinel ring is a size 10 that is set in 14k white gold with a natural red spinel gemstone weighing 3.94 carats. This solid 14k gold ring has 7.80 grams of 14k gold! It is rhodium plated for added beauty, durability and luster. See a front view photo of this genuine red spinel ring. The natural color deep red spinel gem faces up eye clean. Under close inspection with bright illumination, this rare red spinel gem shows just a few faint natural inclusions (GIA: Type II Gem, Clarity Grade VS) which absolutely guarantee its natural origin. This genuine red spinel ring has pure dark red natural color. See also a side-view photo of this natural red spinel jewelry design. This genuine red spinel ring is a size 7 that is set in 14k rose gold with a natural red spinel center gemstone weighing 1.43 carats and 0.58 carat of small red spinels forming four points set geometrically around the center. See another view of this genuine red spinel ring. The natural color deep bright red spinel gem faces up eye clean. Under magnification with bright illumination, this rare red spinel gem shows just a few faint natural crystal inclusions which absolutely guarantee its natural origin. This genuine red spinel ring has pure red natural color. This genuine purple spinel pendant is set in 14k yellow gold. 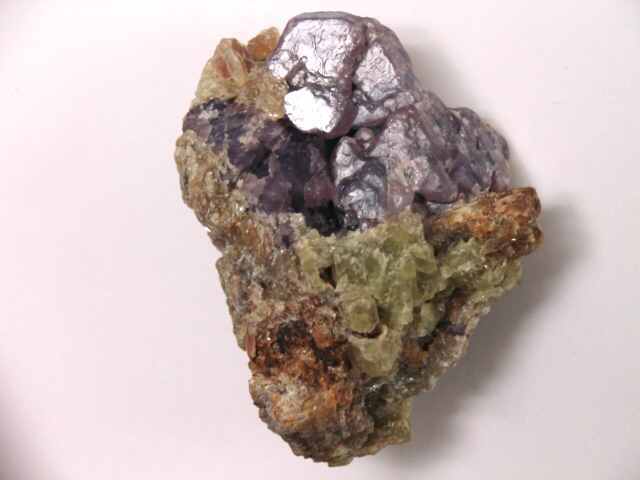 The natural spinel gem has nice medium-dark purple natural color - it is unheated and untreated. This genuine spinel gemstone is well cut with good brilliance. 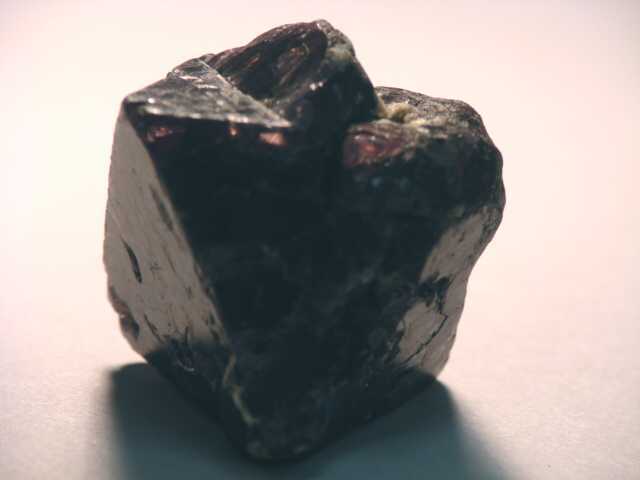 It was faceted from a natural spinel crystal that was mined in Sri Lanka. This fine quality spinel gem is completely clean even under close inspection with magnification clean (GIA: Type II Gem, Clarity Grade: Flawless). This pair of natural red spinel earrings are set in 14k yellow gold stud earrings with natural color red spinel gemstones (100% natural color - they were not heated or treated in any way) weighing 1.38 carats total weight! These genuine spinel gemstones were faceted from natural spinel crystals that were mined in Tanzania. They have fine dark red natural color, and they face up completely clean (GIA: Type II Gems, Clarity Grade VVS). This 14k white gold pendant is set with a natural dark red spinel gemstone weighing 1.79 carats. This lightly included gem faces up clean with natural inclusions visible under close inspection with bright illumination (GIA: Type II Gem, Clarity Grade VS/SI1). The gem in this natural red spinel pendant has very dark red natural color that is so dark it appears almost black under some lights, with amazing deep red flashes in its depths under brighter lights. See another view of this natural color red spinel jewelry design. See also a side view of this natural color dark red spinel pendant. This 14k yellow gold pendant is set with a natural red spinel gemstone weighing 1.27 carats. This beautiful spinel gem is well faceted in a native cut with very good brilliance! 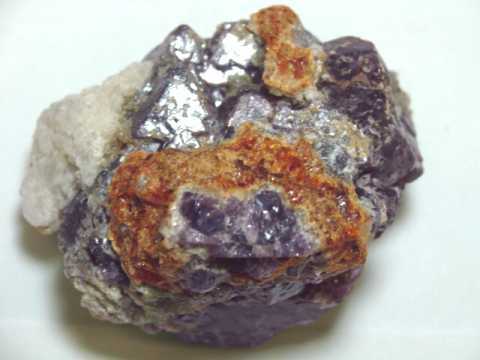 This lightly included gem faces up clean with faint natural inclusions visible under closer inspection (GIA: Type II Gem, Clarity Grade VS/SI1). The gem in this natural red spinel pendant has fine medium-dark fiery red natural color! See another view of this natural color red spinel jewelry design. See also a side view of this natural color red spinel pendant. This 14k yellow gold ring is set with a natural red spinel gemstone weighing 1.02 carats. This beautiful spinel gem is well faceted in a native cut with good brilliance. It faces up clean with faint natural inclusions visible under closer inspection (GIA: Type II Gem, Clarity Grade VS). See also a side-view of this natural color red spinel ring. The gem in this natural red spinel ring has fine dark fiery red color! See another view of this natural color red spinel jewelry design. This solid gold ring has 4.49 grams of solid 14k yellow gold. This 14k yellow gold ring is set with a natural pink spinel gemstone weighing 1.68 carats. This exceptionally well cut pink spinel gem is faceted in a round brilliant cut with excellent brilliance. This beautiful gem faces up clean with faint natural inclusions only visible under close inspection. This solid gold ring has 3.77 grams of 14k yellow gold! The gem in this natural spinel ring is a very fine medium pink color under daylight as shown (100% natural color - unheated and untreated). This 2.2 inch diameter sphere was hand-ground and polished from natural biotite schist matrix with reddish pink spinel crystals. There are about 200 natural color translucent spinel crystals exposed on the surface of this sphere, and they measure from 0.1 to 0.2 inches across (3mm to 6mm). This 2.3 inch diameter sphere was hand-ground and polished from natural biotite schist matrix with reddish pink spinel crystals. There are about 25 natural color translucent spinel crystals exposed on the surface of this sphere, and they measure from 0.2 to 0.7 inches across (5mm to 18mm). This 2.5 inch diameter sphere was hand-ground and polished from natural biotite schist matrix with reddish pink spinel crystals. There are about 100 natural color translucent spinel crystals exposed on the surface of this sphere, and they measure from 0.1 to 0.3 inches across (4mm to 7mm). This natural blue spinel gemstone was mined in Ceylon (Sri Lanka). It faces up eye clean, and has a few tiny inclusions that are only faintly visible under close inspection with bright illumination (GIA: Type 2, VS). The color is a dark gray-blue (100% natural color - unheated and untreated). 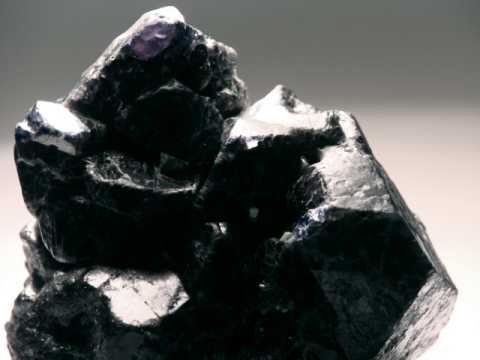 Dark blue spinel gems with this color are sometimes called indigo spinel gemstones. This natural spinel gem is very well cut! Our mineralminers.com miner's price for this natural blue spinel gem is $180./carat x 1.35 carats = $243. This red spinel gem was found in Burma in 2003. It faces up completely clean, with a few tiny inclusions just faintly visible under very close inspection with bright illumination (GIA Type 2, VVS). The color is a fine deep red. See also another top view of this red spinel gemstone. This windowed gem of natural spinel is shallow cut. 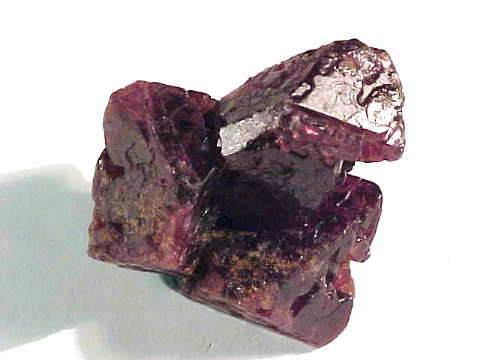 See also a side view photo of this natural red-spinel gemstone. Our mineralminers.com miner's price for this natural color spinel gem is $395./carat x 1.00 carats = $395. 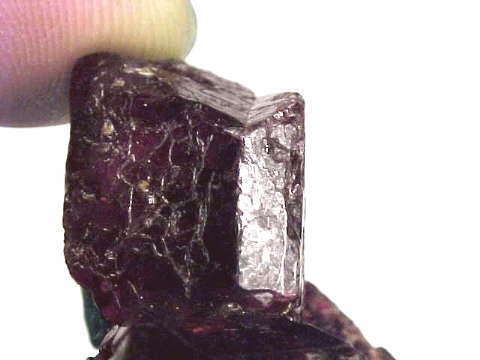 This rare collector gem of natural spinel was mined in Sri Lanka in 2005. This unique spinel gemstone faces up completely eye clean, with faint inclusions visible only under very close inspection with bright illumination (GIA Type 2, VVS). The color is a medium dark blue with some purplish-pink areas (100% natural colors - unheated and untreated). See also an upside down view showing the natural color zoning. This natural spinel gem is well cut with good brilliance. Our mineralminers.com miners price for this natural bi-color spinel gem is $625./carat x 3.08 carats = $1925. This natural red spinel gemstone was mined in Burma (Myanmar), and then faceted in Sri Lanka. This rare quality deep red spinel gem is completely eye clean even under close inspection (GIA Type 2, Eye-Clean). The color is a deep very slightly orangy red, reminesent of a burning coal, (100% natural color - unheated and untreated). Our mineralminers.com price for this natural Burmese red spinel gemstone is $850./carat x 3.06 carats = $2601. This natural red spinel gemstone was mined in Sri Lanka (Ceylon), and then faceted in Sri Lanka in the Roval style, (near round but oval). This rare quality deep orangy red spinel gem is completely eye clean even under close inspection (GIA Type 2, Eye-Clean). The color is a deep slightly orangy red, reminiscent of a burning coals, (100% natural color - unheated and untreated). Our mineralminers.com price for this natural Ceylon red spinel gemstone is $700./carat x 1.71 carats = $1197. This natural fine red spinel gemstone was mined in Burma (Myanmar), and then faceted in Sri Lanka. This rare quality deep red spinel gem is completely eye clean. Under close inspection with a loupe an inclusion may be seen. (GIA Type 2, Eye-Clean). The color is a deep red, with no modifier, (100% natural color - unheated and untreated). Our mineralminers.com price for this natural Burmese red spinel gemstone is $950./carat x 1.32 carats = $1254. 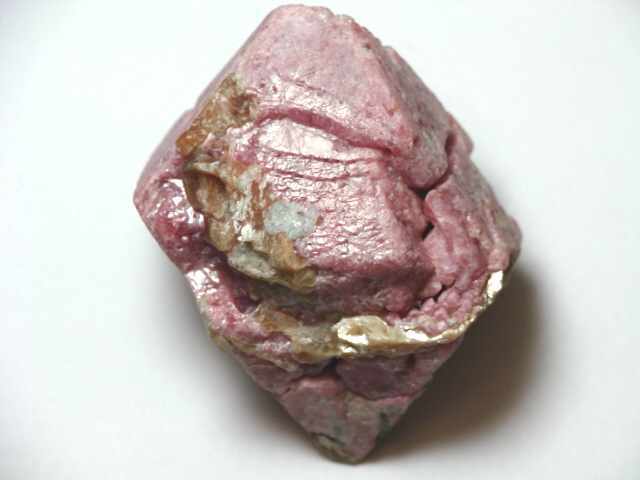 This natural red spinel gemstone was mined in Burma (Myanmar), and then faceted in Sri Lanka. This rare quality deep red spinel gem is completely eye clean even under close inspection (GIA Type 2, Eye-Clean). The color is a deep very slightly orangy red. (100% natural color - unheated and untreated). Our mineralminers.com price for this natural Burmese red spinel gemstone is $800./carat x 1.21 carats = $968. This natural red spinel gemstone was mined in Burma (Myanmar), and then faceted in Sri Lanka. This rare quality deep red spinel gem is completely eye clean even under close inspection (GIA Type 2, Eye-Clean). The color is a deep red with no modifiers (100% natural color - unheated and untreated). Our mineralminers.com price for this natural Burmese red spinel gemstone is $850./carat x 1.21 carats = $909.50. This natural red spinel gemstone was mined in Burma (Myanmar), and then faceted in Sri Lanka. This rare quality deep red spinel gem is completely eye clean even under close inspection (GIA Type 2, Eye-Clean). The color is a deep red with no modifiers (100% natural color - unheated and untreated). Our mineralminers.com price for this natural Burmese red spinel gemstone is $850./carat x 1.03 carats = $875.50. This is the end of Spinel Spectacular Items virtual gallery pages. 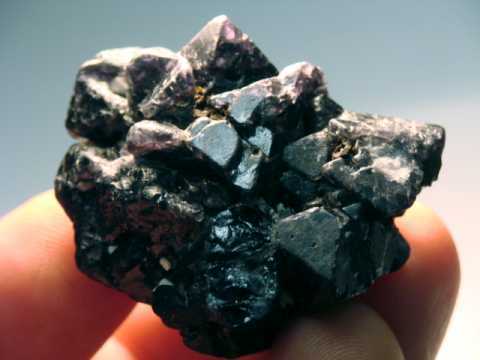 Would you like us to inform you when we add on this page more rare quality natural spinel items? We do have a limited inventory of rare collector quality natural spinel items in stock, so be sure to let us know if you have any natural spinel special requests. Please contact our webmaster or our 'site' geologist with any questions or comments.